I remember watching final scene of the movie I caught by chance on TV several years ago. The final moments were so powerful that the images from them have stayed with me since then. A few weeks ago I finally read the book, on which Milos Formal based his film. What struck me immediately was that the story is not narrated by Randle McMurphy (who was portrayed so well by Jack Nicholson). The story is presented from "Chief" Bromden's perspective. The narrative changes as the plot progresses and his mind gradually becomes clearer, thanks to McMurphy's influence. 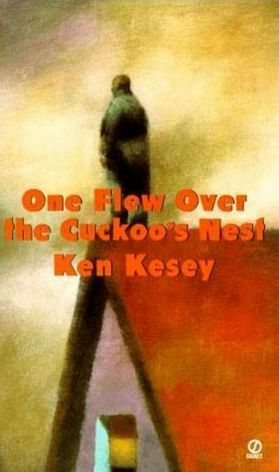 One Flew Over the Cuckoo's Nest is a captivating tale about how one individual with a different frame of mind can affect his surroundings. It can be seen as a metaphor of an oppressive political system, where the combined forces (what the Chief calls "the Combine") work together to control every aspect of life.